2012 was a year full of growth and good times for Hustle and West Coast Swing. We explored new teaching locations and met many new dancers. 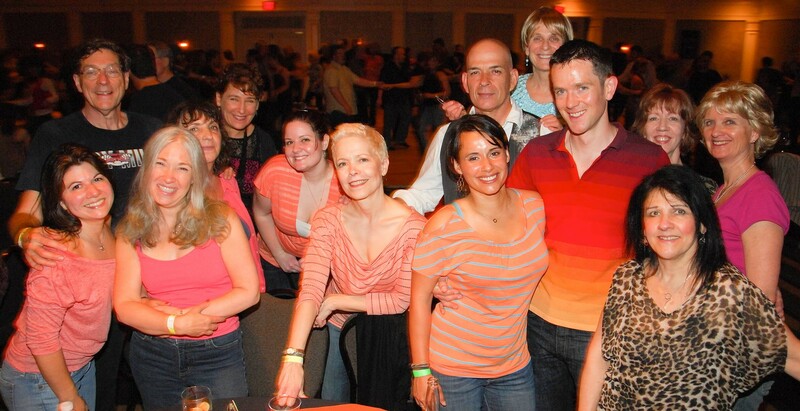 Our community fun times are extremely memorable and are all interwoven into our dance experience. We had a great time choreographing new routines to some of the most popular tunes on the radio and on the West Coast Swing circuit. We ended up using one of those songs as part of our now-famous Showcase at the Ailey Citigroup Theater. We also hosted an amazing and very well-attended New Year's Eve event. In February, we taught two beginner West Coast Swing lessons at the Ailey Extension in New York City. It was an honor to be invited to be the first instructors in the world to bring West Coast Swing to the prestigious Alvin Ailey Extension Studios. These workshops were packed and the dance afterwards allowed a lot of new people to socialize and explore partner dancing for the first time. In April, I began weekly West Coast Swing classes at New York Dance in Harrison, NY. Dancers from Westchester were able to attend these classes and begin their West Coast Swing journey. One of the dancers, who joined our West Coast Swing classes in Harrison, NY also participated in our summer performance in New York City. In April, Harold Zuckerman brought two boxes of "cheering fingers" to contribute to our "Team Orange" themed events (thanks Renee). I now have enough orange in my wardrobe that I may be called "Mr. Sunshine". Does any one remember when Al Deluca wore orange pants or when Mary Holaday wore orange-sparkle sneakers? How about walking into a restaurant and almost blinding the staff with our orange-wear? 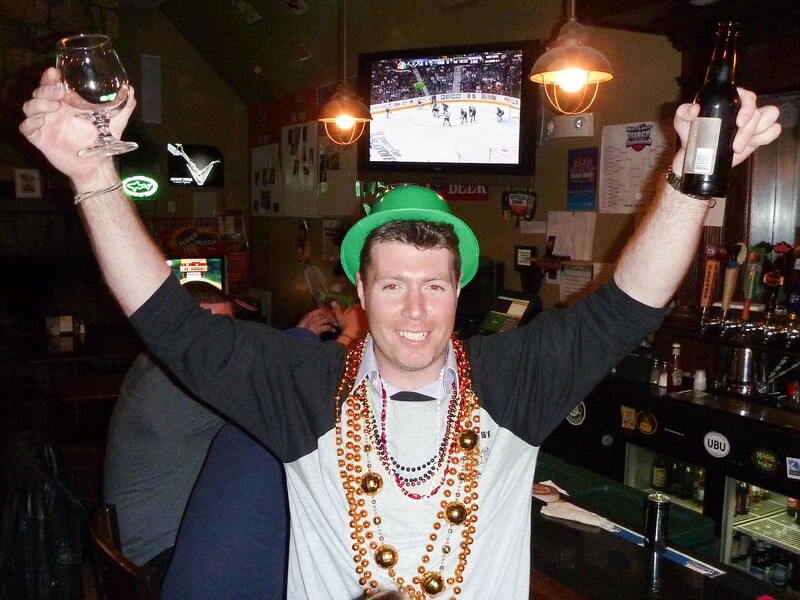 In April, some of us saw Andrew Hayden get an award for drinking a hundred beers at his favorite pub for this birthday. I am always thankful for my weekly "Mexican-Irish" Corona! 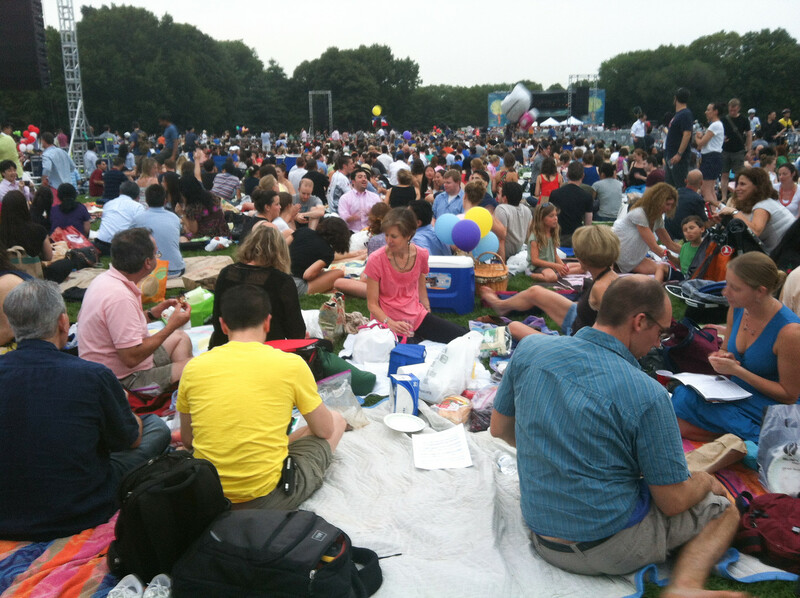 In July, some of us attended the NY Philharmonic in Central Park which was held on a perfect night in New York City with 100,000 other people. 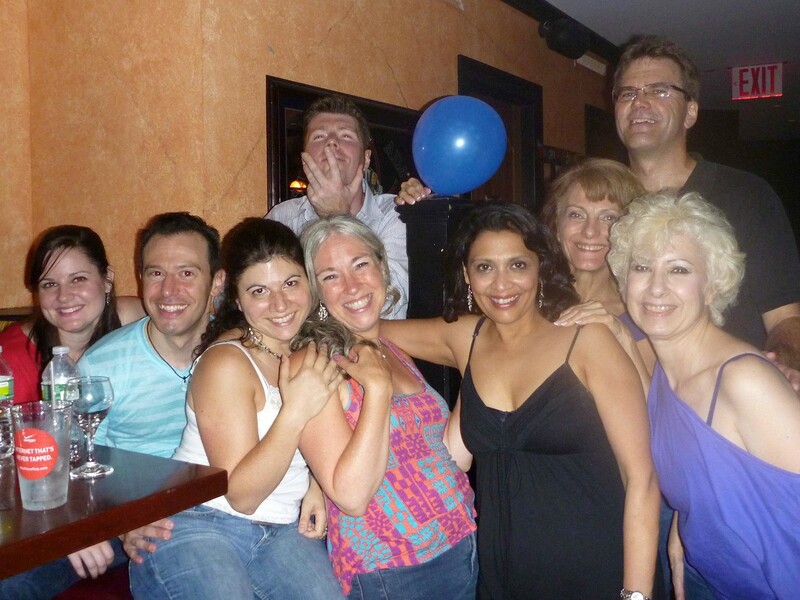 In September, we also celebrated Susan Wittmann's Birthday. It was a spectacular occasion on many levels: it was held at a great Stamford restaurant, gathered many of the Hustle and West Coast Swing dancers together and had one of the best DJs in CT (me). It was great to watch Susan so happy. I have known her for a long time and she has been a part of many of our productions and endeavours...and she makes a great dessert. 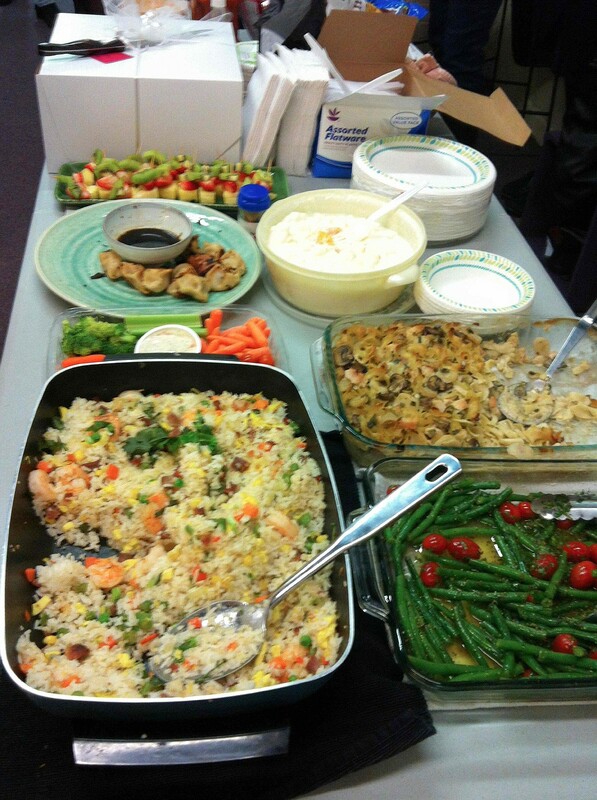 And how cool was our Thanksgiving Class (and Doug & Mary Holiday's 35th Wedding Anniversary)? Many dancers brought food and treats. It was definitely the epitome of "dance community". Doug Davis has to be given high-praise for his amazing culinary abilities. He has prepared food with such love and generosity that I have learned to like food that I would have never ordered at a 5-star restaurant. I would rate Doug (and his weekly West Coast Swing dinners) at least 6-stars. Special mention should also go to Mary Holaday for bringing the ripest fruits, and to Yvonne Bokhour for her "Screw-top" wine! You all make our weekly dance nights very special. I personally had a great time choreographing routines for the Advanced West Coast Swing class. The routines are always intended to maximize dance time while simultaneously teaching musicality, technique and cool moves. It is this kind of repetitive movement that the best dancers in the world use to perfect their dance. We danced to: Please Don't Go, Do You Remember, Fire To The Rain, Swanee, Cry To Me, Call Me Maybe, Payphone, Thriller, and Gangnam Style. 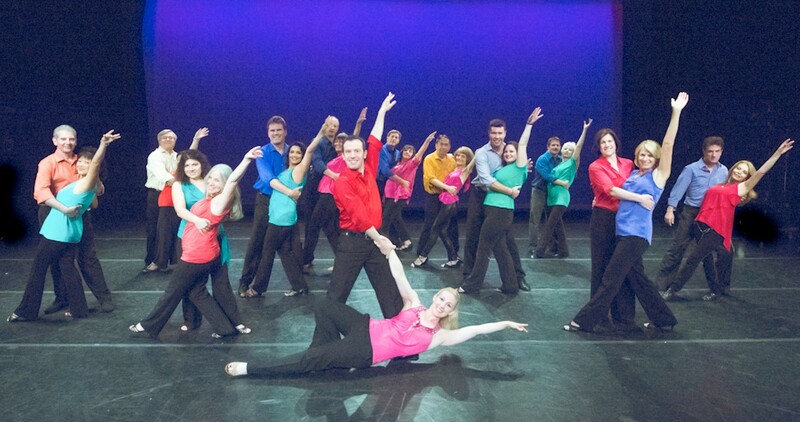 You might not remember all the steps to the routines, but I'm sure you picked up a few new moves and learned some of the most popular songs on the West Coast Swing circuit. The recognition and familiarity with these songs and movments ideas improves dancing in an accelerated way. You can see all the choreography review videos here. Perhaps the highlight of the entire year was our West Coast Swing and Hustle performance of Call Me Maybe at the Ailey Citigroup Theater in New York City in August. The journey began in June with West Coast Swing weekly advanced classes in moves. Those moves were later embedded into the choreography which were learned by the entire class during July. That choreography was later rehearsed and polished throughout the month of August until our 3 performances at the end of August. Here's the video of the West Coast Swing and Hustle performance of Call Me Maybe. That class routine was noticed by the producer, Kat, as one of the best pieces in her show. She said to me, "you can close any of my shows". This was one of the best compliments that could have ever come from a producer. Our performance was even reviewed. And who can forget the after-party!! That night after the first show is unforgettable....and yet it all went by so fast. Perhaps, we should do it again in 2013. Throughout the year, people kept asking us if we were going to be hosting a New Year's Eve event. Around September we committed to plans to host our first, solo, event. By the end of October, we had built a website dedicated to Dancing New Year's Eve CT: www.DancingNewYearsEveCT.com which provided in-depth information and discounts for this big event. Of course, it was nerve wrecking to put together and orchestrate this event. We hired two great DJs, Wes Carrajat and Nino Torre, purchased LED lighting effects, hand-made the center-pieces, arranged for a balloon drop to occur at the stroke of midnight, arranged to teach 3 beginner dance lessons and planned a great night of dining and dancing for our dance and non-dance communities. But at midnight on December 31, 2012 - everything lined up perfectly. 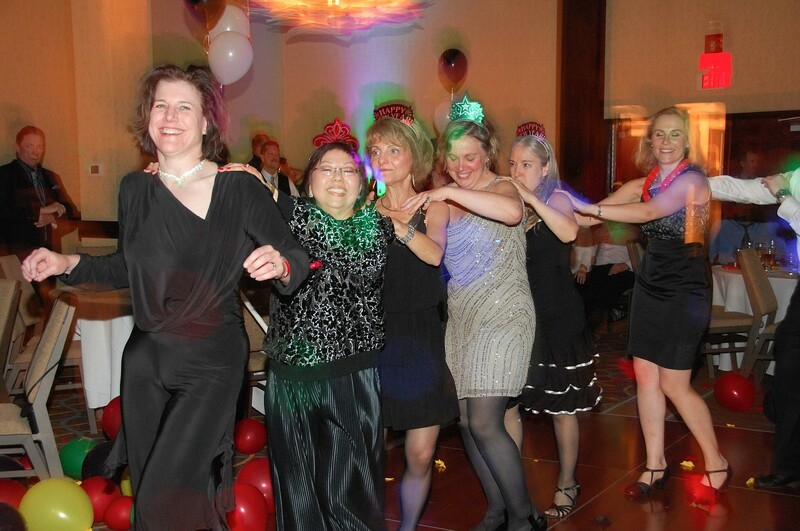 Over 200 people attended our Dancing New Year's Eve CT event. Many of those people took our Salsa, Hustle and West Coast Swing beginner lessons. People dined and celebrated together all the while dancing their booties off for one of the best parties in the state of Connecticut. Anna and I were proud to be providing such a socially fun event. So, welcome to 2013!! We had a great time getting here. We can't wait to see what this year brings. We hope that you continue to be part of the journey.